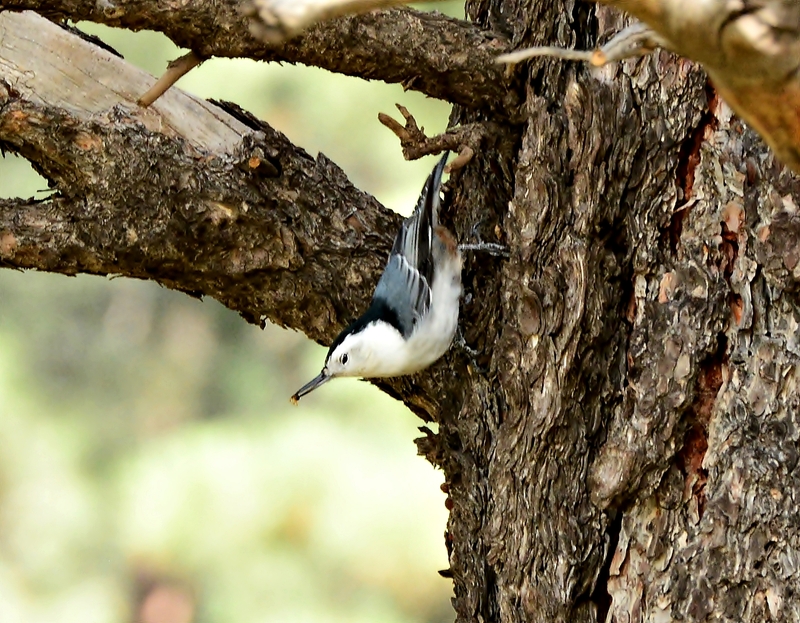 White breasted nuthatch hanging upside down. 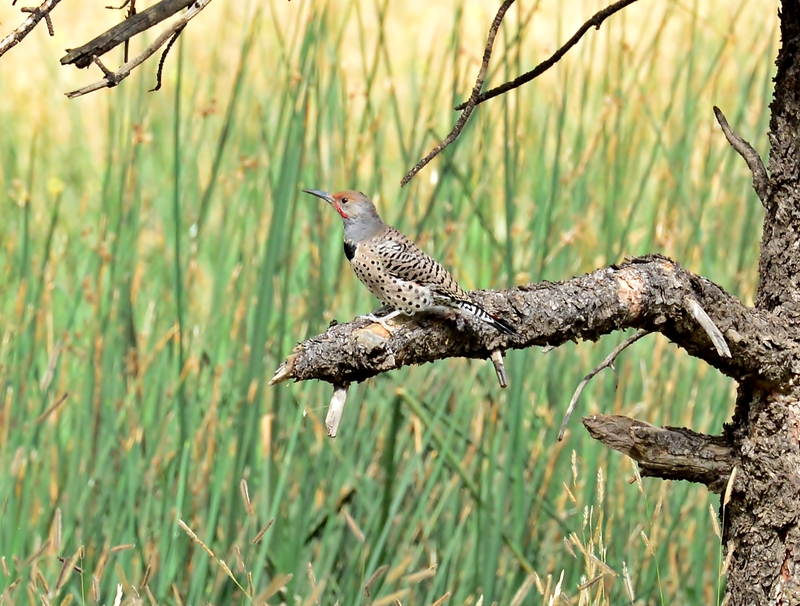 Northern Flicker posing on a branch. 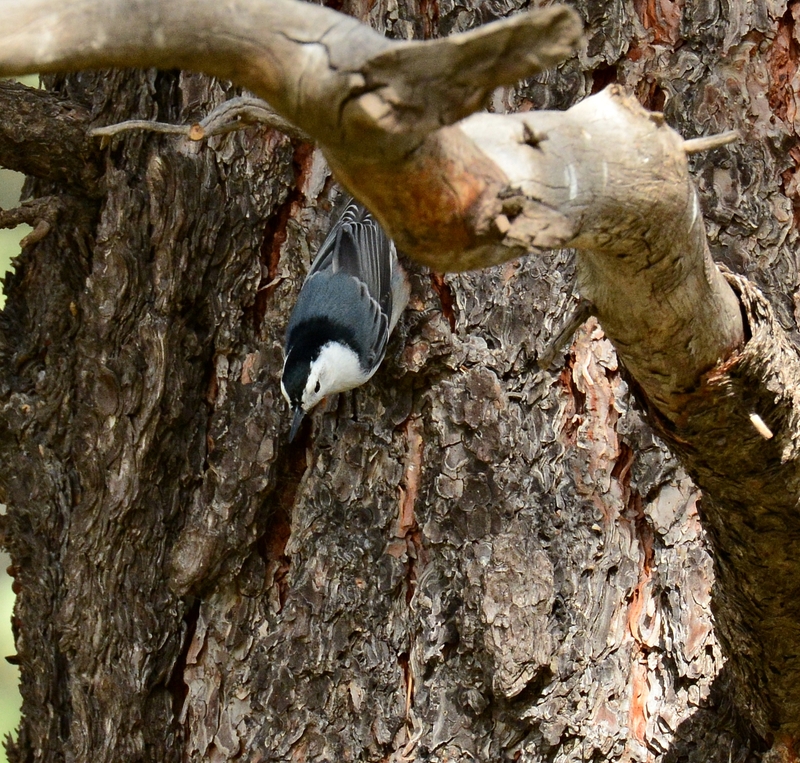 My first Mountain Chickadee. 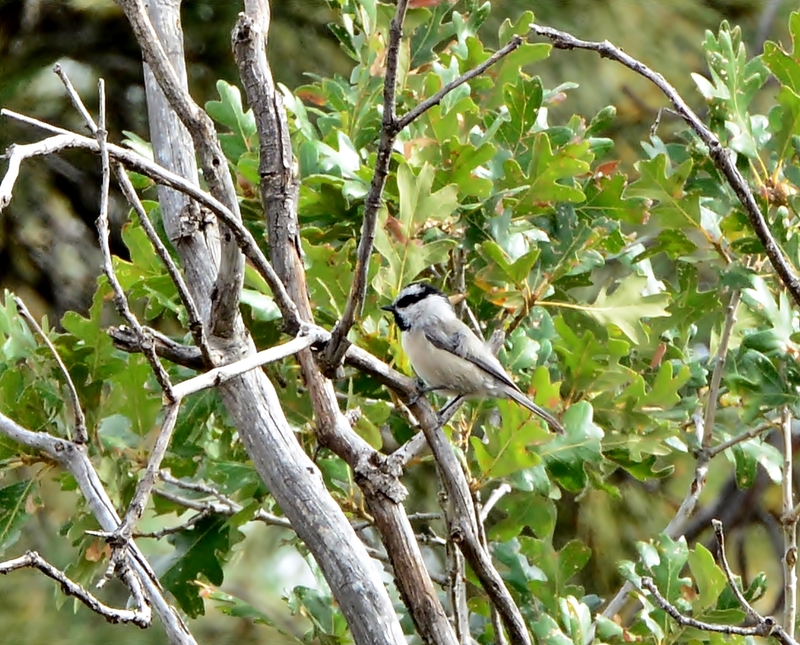 The Carolina and Black Capped chickadees don’t have the white stripe over their eyes. 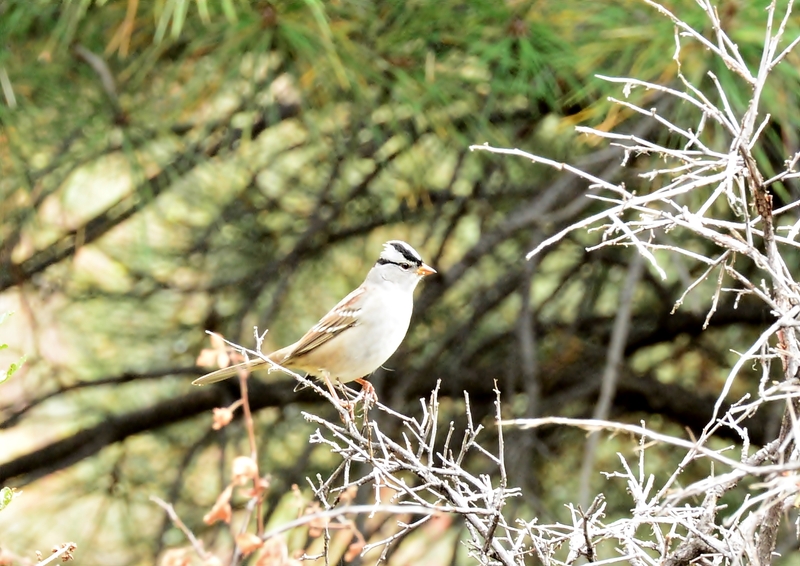 My first white crowned sparrow. Easy to spot with those two black stripes on his head. I’m not sure what the one above it is. 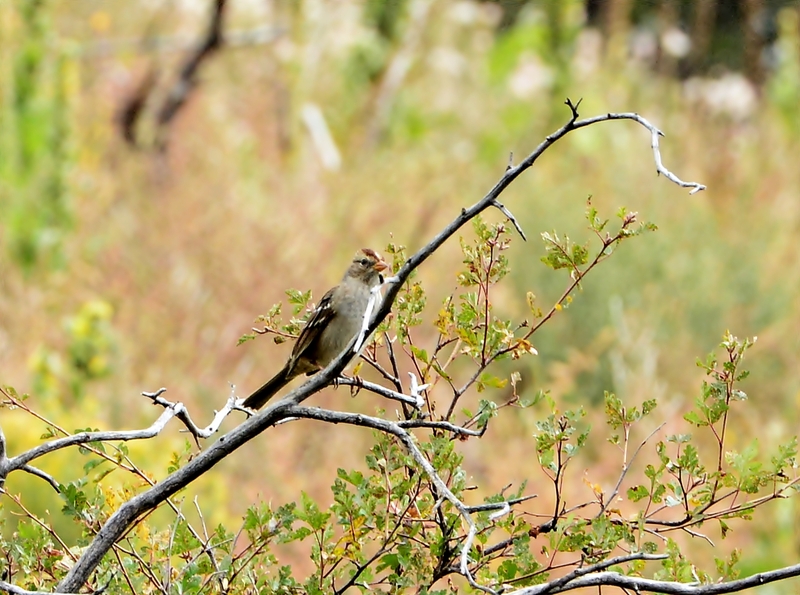 Some other type of sparrow. One of the views of the canyon as we started to notice the dark clouds heading our way. One of my favorite places in Flagstaff was the little know Picture Canyon trail. 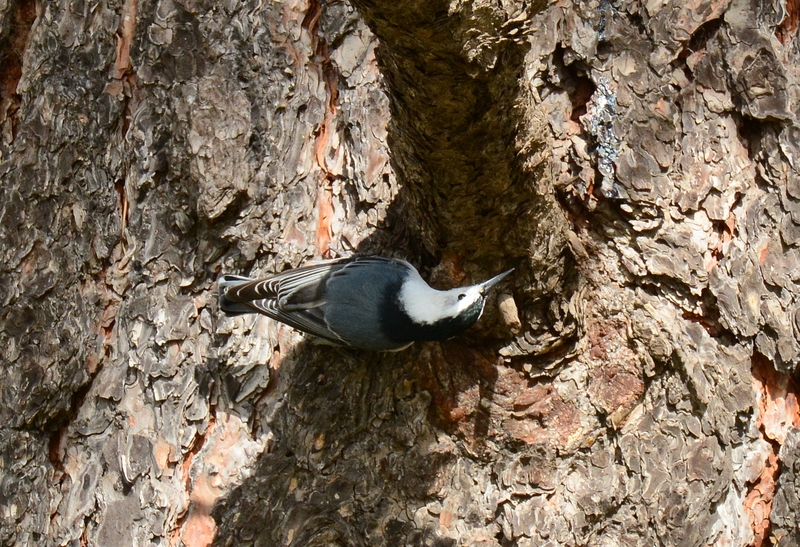 I had read about it on some of the Arizona birding sites. It was free and we only saw one other person on the Tuesday we were there. Half way through the canyon we started to hear the thunder and did not want to be caught on the cliff so we moved pretty quickly back to the car. We got back just as it started to rain. I got 3 new birds from this canyon. 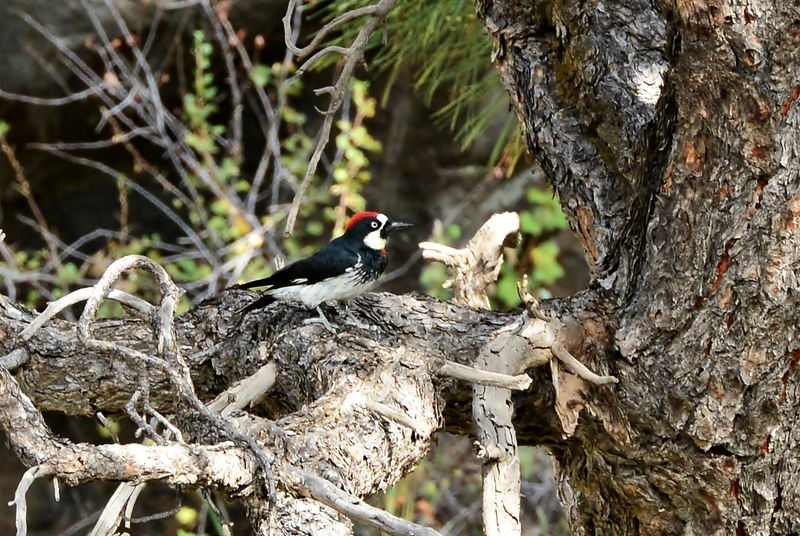 I had also read there are some rare Lewis woodpeckers there but we could not find them.